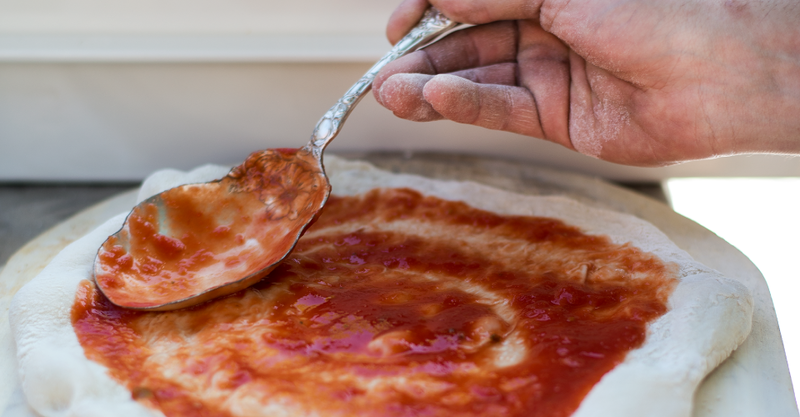 We shared slices with Benjamin Roberts of Pizza Supreme Being, and learned how his love for pizza lead him to leave his full-time job to pursue the real dough. We don’t know about you, but the words “I love pizza” have been uttered from our lips at one point or another. For most, it’s something that is casually said while indulging in one of their favorite slices. But, is it really “Love”? 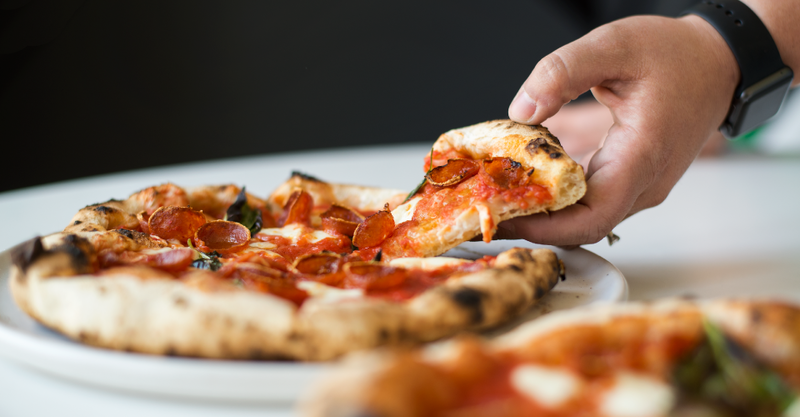 Do you love pizza enough to quit your day job and pursue it full-time? 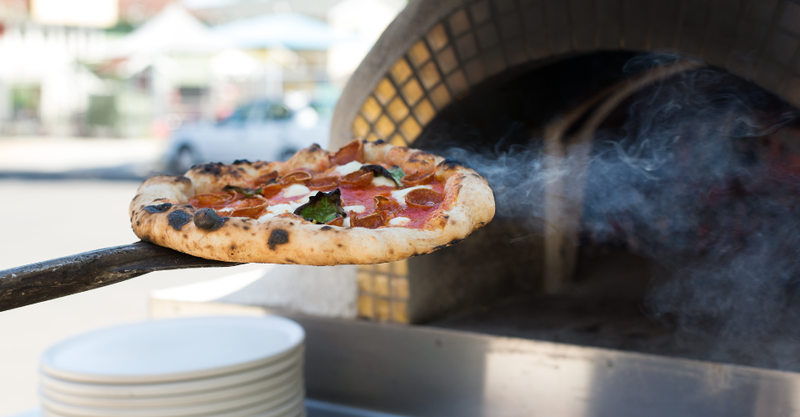 The very idea of this all encompassing pizza love is what motivated Roberts to invest in a mobile wood fire pizza oven last July and start Pizza Supreme Being. “This is the first product that I’ve ever made where I’ve had a vision in my head and actually used my hands to make that vision come true, he says. “Everything that you set out to do doesn’t land on paper the way you want it to, so when I started doing this, I was like F$%@, I better stick with it. After months of preparation, Roberts made the big leap and launched his company at The Mill’s one year anniversary last summer. It was then that he actualized the power of pizza. 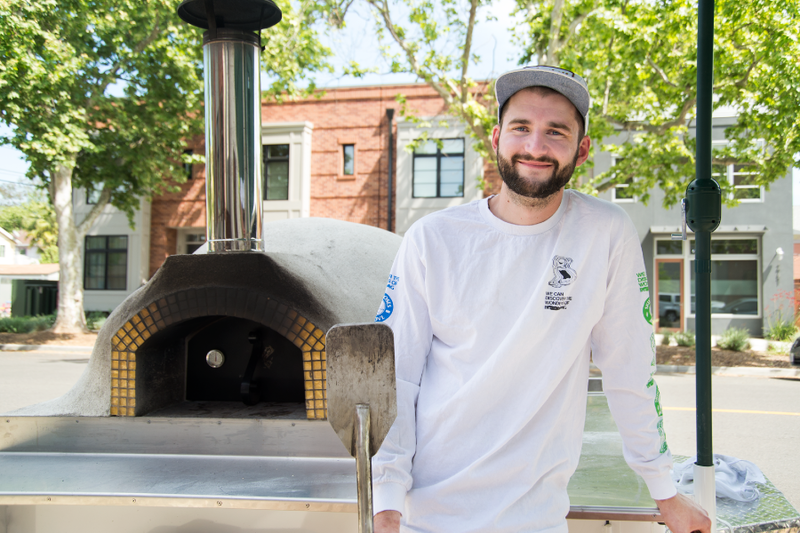 His single gig nine months ago has since turned into serving up pizza at bars and events. All his products are handpicked and sourced with the intention of keeping the true flavor in mind. Roberts suggests that sticking to quality products makes the love he has for his pizza easy to be tasted. The cheese comes from the Point Reyes Cheese Company, Pepperoni from Molinari in the Bay Area, and the basil is sourced from the local farmer’s market. As far as aspirations and influences that keep him going towards the goal of having his own brick and mortar one day, Roberts gives credit to his wife and those that have come before him. But when asked about his ultimate goal, Roberts answers with a simple yet complex idea: making people happy.